It has been a while since I last posted in my In the BAR series. I decided that I needed to resume the series after seeing the cover of the new Biblical Archaeology Review when it arrived in my mailbox last week. Two years ago when I was in Turkey we visited several Hittite and Neo-Hittite sites. 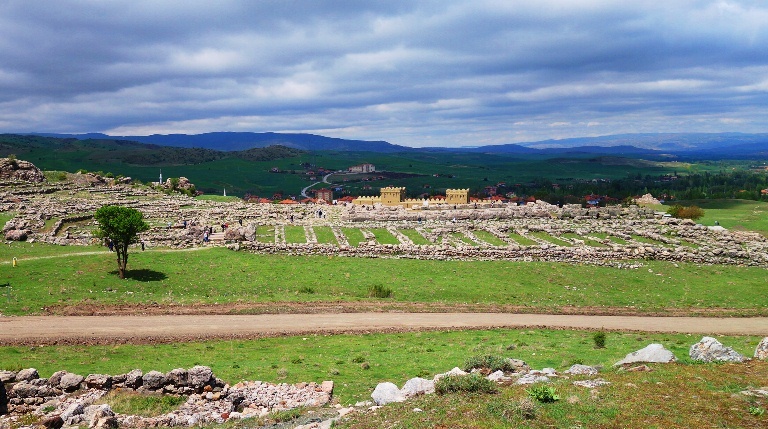 The picture above shows the ruins of the lower city of the Hittite Capital of Hattuša. The article has a picture of the Lion Gate. There have been some changes since the time the picture used in the article was taken. Most notable is that they have done some restoration work on the heads of the lions as shown in the picture that I took. 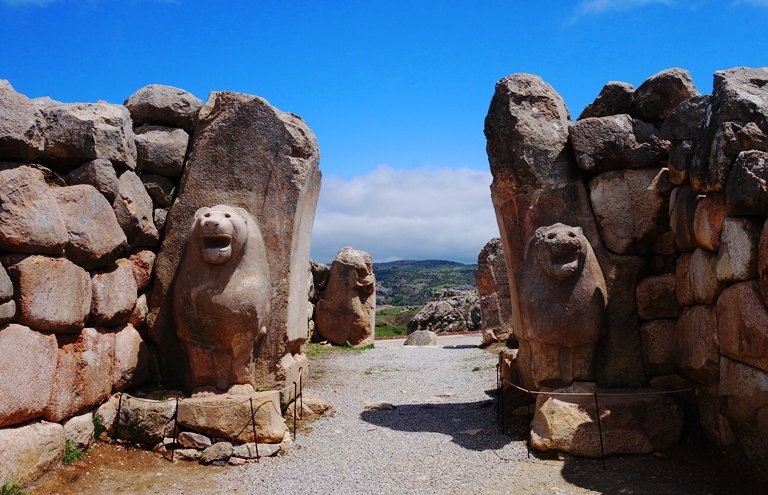 If you want to see a picture of me with one of the lions you can click on The Hittite Capital. 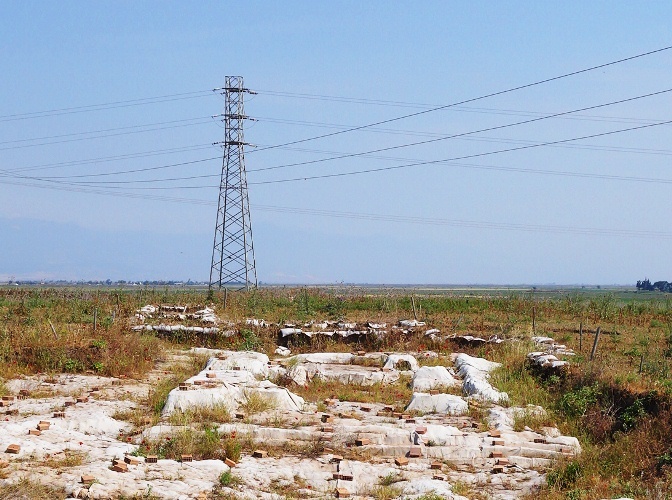 The article in BAR explores what happened to the Hittites after the destruction of Hattuša. Ben Bova wrote a historical fiction book titled The Hittite that looks at one possibility. We also visited Yazilikaya which is an open air shrine near Hattuša. The article also has pictures of the rock carvings. Later in the trip we visited the Neo-Hittite site of Tel Ta’yinat which is very near the Syrian border. The Neo-Hittite or Syrian-Hittites were divided into a northern and southern group. Tel Ta’yinat may have been the capital of the southern group which migrated down the coast into Israel. The picture above is of the Iron Age temple that was uncovered at Tel Ta’yinat. There is a good overhead picture of the temple in the Wikipedia article for the site. The temple has a similar size and layout to the temple in Jerusalem. See my post Antakya to Adana for more information. Later in the same day we visited Karatep Aslantas which is a Neo-Hittite site associated with the northern group. 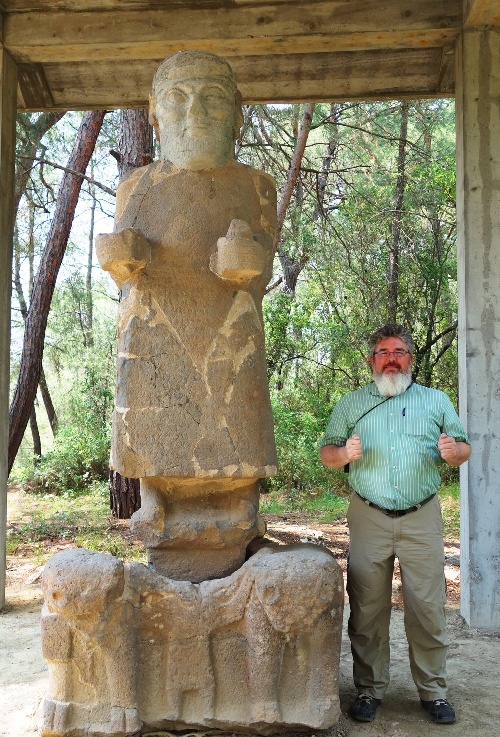 Here I am standing by a large statue of the Storm God that was found at the site. I recommend that you pick up the latest issue of BAR and read this article as it is full of information about the Hittites and the references to Hittites in the Bible. This entry was posted in Archaeology, Culture, History, Israel, Turkey and tagged Assyrian-Hittites, BAR, Biblical Archaeology Review, Hattusha, Hittites, karatep Aslantas, Neo-Hittites, Yazilikaya. Bookmark the permalink.